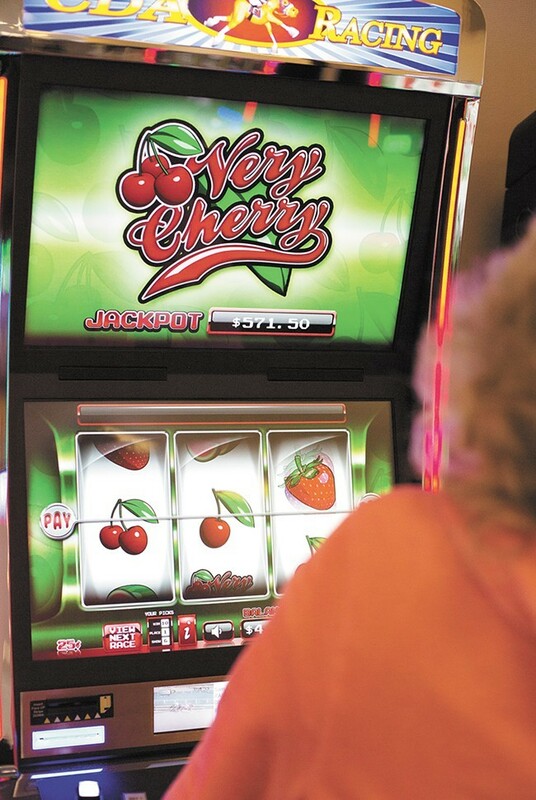 This year, the Idaho legislature overwhelmingly voted to undo its decision to legalize gambling machines called "instant racing" and "historic horse racing machines." The machines were sold to the legislature as a way for racetracks to bring in extra money by allowing bettors to wager on races that happened in the past. Technically, the machines did do that. But the machines appeared far closer to slot machines, full of spinning reels, cherries, treasure chests and flashing lights, and the horse race aspect was almost obscured entirely. But Otter, a rancher who'd raked in $92,000 in campaign donations from instant racing machine operators, vetoed the legislature's attempt to undo the law, arguing that "a precious part of Western culture is at stake." Without the revenue the racing machines brought to the table, horse racing in Idaho was in jeopardy. Turns out there was a technicality. The Idaho State Constitution has a rule that requires a veto be returned to the legislature within five days (not counting Sundays) of a decision. And by the time the legislature had received the veto, after Easter Weekend, five days had already passed. The Couer d'Alene Tribe, which has its own complicated gaming pact with the state, sued to try to force the Secretary of State to certify the bill. 2. Return the veto with his message by delivering it to the presiding officer, clerk, or any member of the Senate within five days after S.B. 1011 was presented to him, and send a message to the Senate the first day it reconvened after the Easter weekend notifying it of the time and person he delivered the veto to. The governor did neither, the court found. "The uncontroverted facts conclusively establish that the Governor did not physically return the veto to the Office of the Senate within the five-day period as the Constitution requires," the decision says. Not only that, the court found, but there's nothing in the record that suggests that the governor returned his veto to "a presiding officer, clerk, or any member of the Senate" before the timeline was up. either. A bill doesn't need the governor's signature to become law in Idaho, the court found. Just letting the veto-deadline pass is sufficient. Furthermore, the court found, Idaho's Secretary of State, Lawerence Denney, had a duty to certify the bill into law. The court issued a "writ of mandamus" to make him do so, and said the Coeur d'Alene Tribe was eligible to recover attorney fees from the Secretary of State. Justice Daniel Eismann, in his concurrence, singled out the arguments of Idaho's Deputy Attorney General Brian Kane for particular scorn, writing that "unless he was willfully ignorant of the facts, those responses were false" and that his " inconsistent answers reflect a lack of candor" and that one assertion was "patently disingenuous." Eismann said that the deputy attorney general had "stooped to groundlessly disparaging the character of the President Pro Tempore" and "that such a groundless attack on the President Pro Tempore’s character demonstrates the total lack of substance in the Deputy Attorney General’s argument." "The Deputy Attorney General would apparently have us believe that the Governor timely returned the original of the bill to some phantom senator, who gave the bill back to the Governor, and then the Governor later returned the original of the bill to the Senate Pro Tempore," Eismann wrote. "There are certainly no facts supporting that fantasy." For the tribe, it's cause for celebration. "It’s really too bad that a lawsuit was necessary to confirm this, but we are extremely happy with the result," says Chief James Allan, Chairman of the Coeur d'Alene Tribe. Who’s on the sheriff’s Citizens Advisory Board anyway?